It's a chili cook-off at DC Reynolds -- for charity! Georgia Avenue Thrives and the Lower Georgia Avenue Main Street program are throwing a free community holiday party on Sunday, December 17th from 4-7pm in appreciation of their neighborhood volunteers who do so much for the neighborhoods, and you're invited! But there's a kick to this party -- it's also a chili cook-off featuring some of the Petworth area's favorite restaurants! And the chili is free! DC Reynolds (3628 Georgia Avenue) is hosting the cook-off and party and has donated their covered back patio for the event. 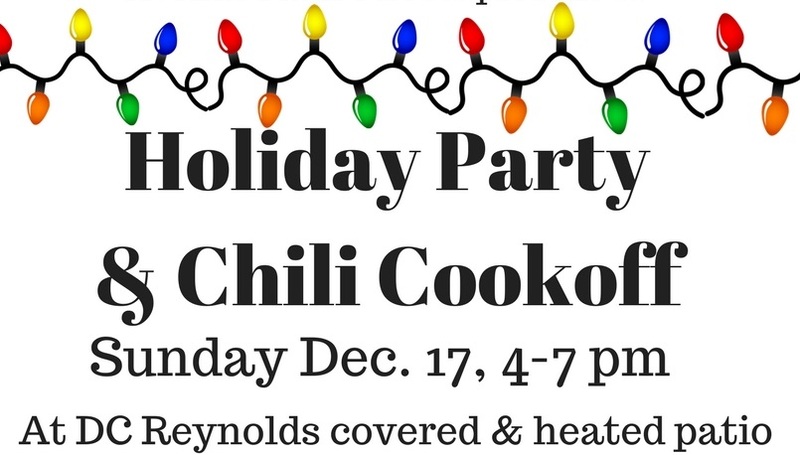 Now's your chance to try out some tasty, hot chili on a cold December day, and help out two really incredible local non-profits. And hey, you can cheer on your favorite restaurant with the free chili (while it lasts!). Donations support Georgia Avenue Thrive's mission to build a connected, inclusive, vibrant community. You can send questions to Jennifer at District Bridges.